Character education in the classroom or gym. 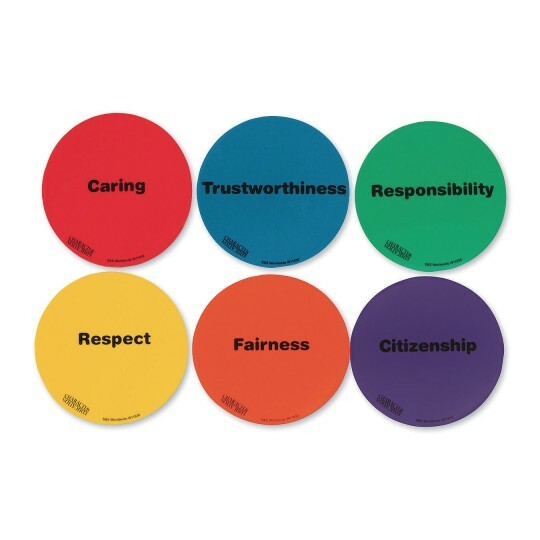 Tough 5” vinyl spots are 5” x .08” thick and spell out a key character trait, including Caring, Fairness, Respect, Responsibility, Trustworthiness, or Citizenship. 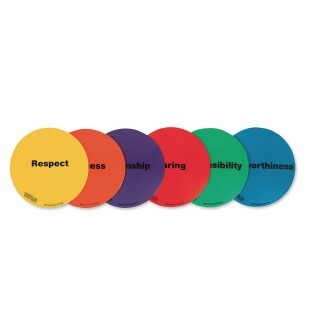 A simple and economical tool to help with character education in the classroom or gym.